Burning legs, screaming lungs, aching head, chilled bones - yet it feels great to be standing atop the Khumbhu glacier at 5364m (17,598 ft). Everest Base Camp in the background. 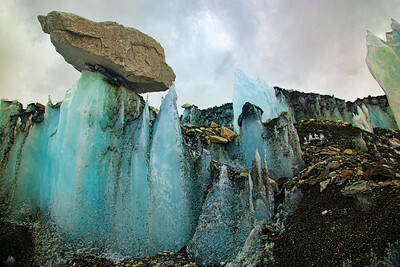 Parts of the glacier just caved in and formed an ice bed from the melt water. 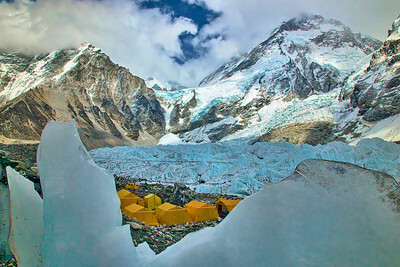 The Everest Base Camp itself, on top of a relatively stable bed of the Khumbhu glacier, which is fed by Mt.Everest itself. 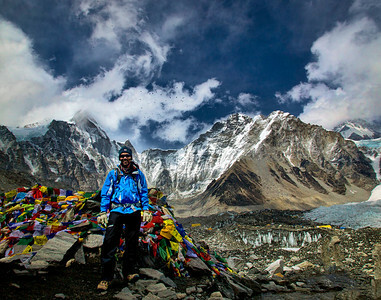 Seen in the background, is the Khumbhu icefall, where an Avalanche on Apr.18th killed 16 sherpas. 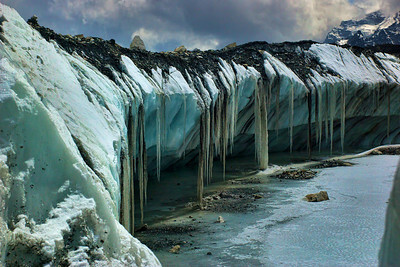 This shot is taken about 40ft below the top surface of the Khumbhu glacier. Amazing to see massive rocks plucked up by the glacier. 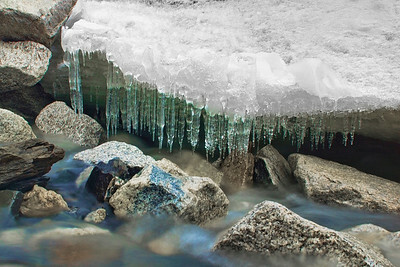 Glacial melt. Origin of the river Dudh Koshi.